What's The One Thing That's Holding Your Business Back? Blog » Entrepreneur » What’s The One Thing That’s Holding Your Business Back? What’s The One Thing That’s Holding Your Business Back? Did you read the book, “Bringing Down The House”? It’s a good read about how a MIT graduate and a half dozen colleagues took a handful of Vegas casinos for millions. The ringleader of the group was trained as a mechanical engineer, who you’d think wouldn’t know a thing about gambling. But what he did do, was apply the same type of thinking he learned at MIT, on how to engineer systems, to… beating the casinos. It worked so well, that not only did he and his colleagues make millions, they got banned for life from the casinos. And I wouldn’t recommend you do the same, that is, mess with the Vegas casinos. But for just a minute let’s take a look at two types of people who go to Vegas. First, you’ve got the gambler, who may have a bit of cash or a lot. And invariably they lose most or all of it. But what the heck, they tried with the hope they might win big, but hardly ever do. Second there are a few people like the book’s main character Kevin Lewis, who created a system for fleecing the casinos, instead of the other way around. So which type of person are you? 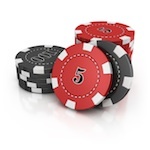 A gambler, hoping to win big but still frustrated with how your business is doing? Or someone who is engineering their success and has a system for attracting a steady stream of new clients, new business and bigger profits? Gambler or profit engineer which are you? Now, there is nothing wrong with going to Vegas for fun, but I’m sure you can appreciate that gambling with your business is a bad idea. Which is exactly what most people do. Want more clients? What systems do you have in place? • Do you have a system that month by month helps more and more prospects discover how you can help them? • Do you have a system for building your list of qualified prospects, so each week you’re marketing to more eager buyers? • Do you have a system for once you’ve got people’s attention for helping them to get to know you, trust you and want to do business with you? • Do you have a system for helping prospects sell themselves on your products or services? • And, do you have a system for generating more referrals each month? Ultimately, it’s not demand, and it’s not luck or smarts or hard work that separates the truly successful from the wannabes. It’s having the right systems in place to grow your business. Try using a system. You’ll make a lot more! Don’t have a client attraction system? Find out which system helped other small business owners beat the recession to earn $65 million in the last few years. P.S. Whether you invest in the stock market, real estate or business, I’m sure you don’t want to gamble with your future. Try using a proven system instead.